I love baking, but I have a lot of friends who can't have regular cakes for whatever reason. 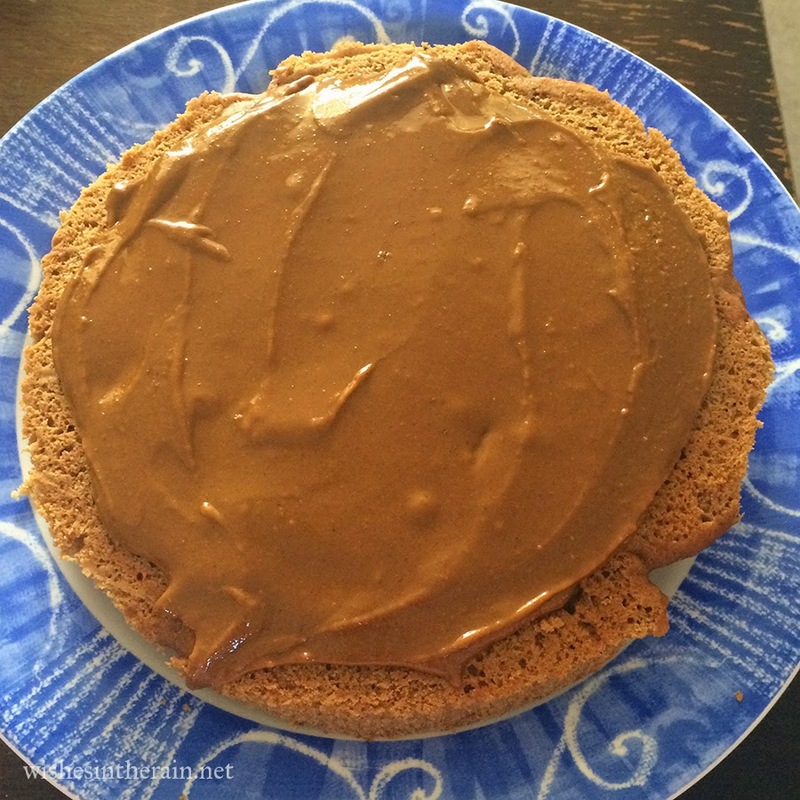 I thought it would be a good idea to blog my attempts at gluten, egg and/or dairy free baking so I can remember what worked and what didn't, and maybe help someone else out. My friend Emily and I thought it would be nice to bake a Simnel cake for our flute group practice this week. She can't have gluten, dairy, or (in my view) worst of all, chocolate, and another girl in the group is vegan and is currently not allowed to have sugar except coconut sugar. This was a challenge! I checked with our sugar-free friend and she wasn't even allowed to have dried fruit. 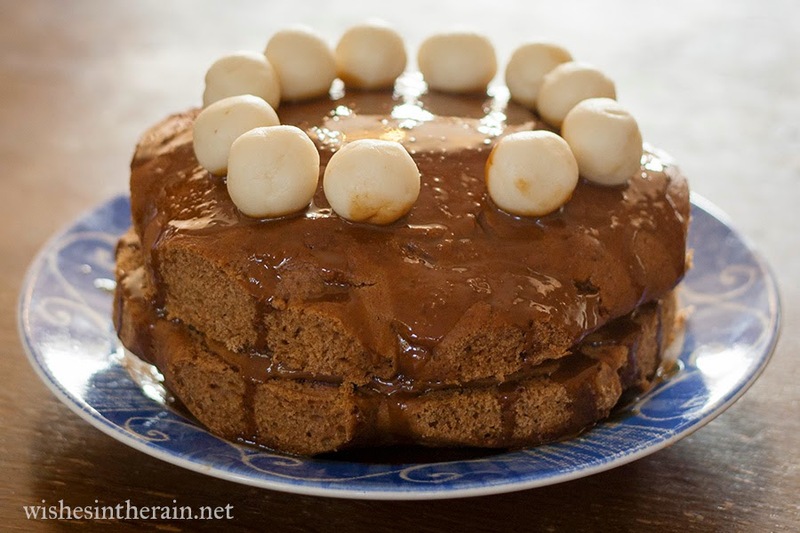 So a regular Simnel cake was out, and we thought we would bake a spice cake instead. 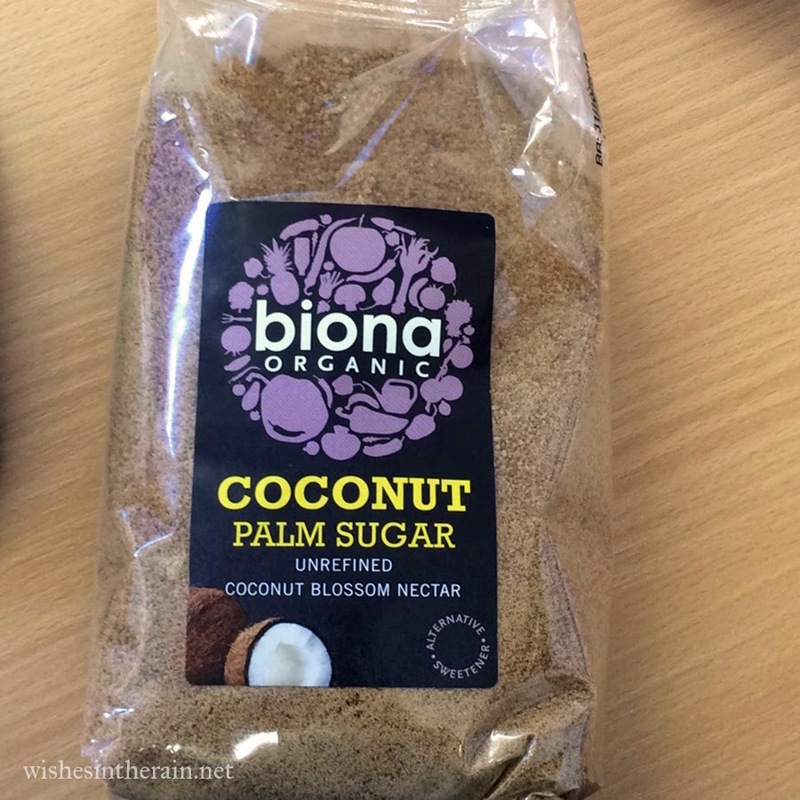 I got coconut sugar online, though it's the sort of thing you can get at health food shops. It tastes like dark brown sugar, almost like treacle. My husband thinks he can taste a hint of coconut in it but I can't really. 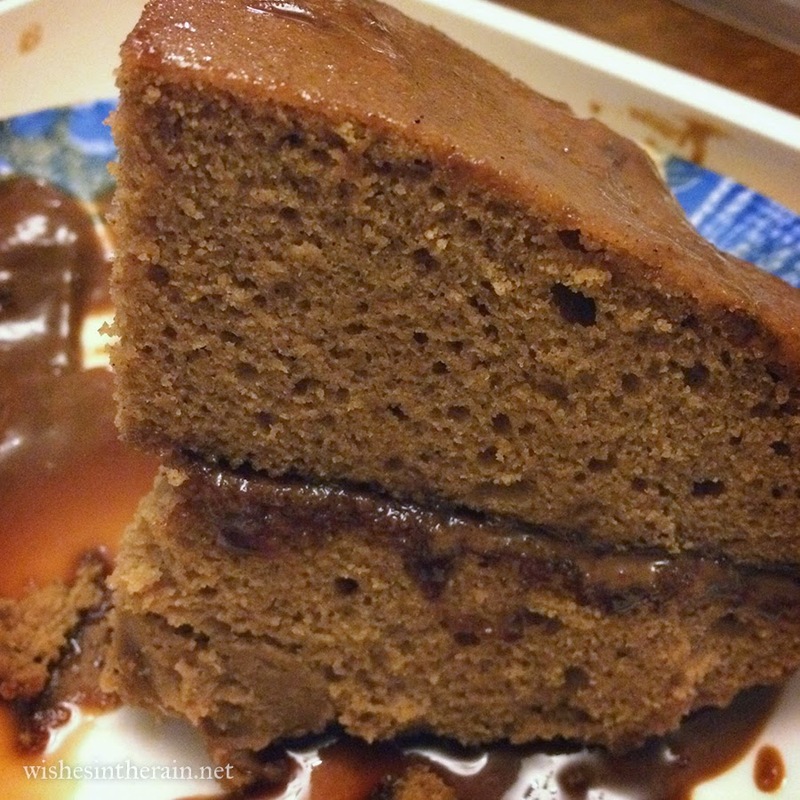 I searched for recipes and found this one for Chai Spice Cake with Vanilla Bean Buttercream from Veggie and the Beast. I liked that it called for raw sugar, because I thought the coconut sugar wouldn't be so different. Emily and I followed the directions as written. I make American recipes I find on the Internet quite frequently so I have a set of cup measures. I can't express how much easier it is to use them than to convert a recipe into weights. They aren't expensive and you can get them online or in shops like John Lewis. I was able to powder the sugar to an extent in the food processor, but not all that well. I also had to hand grind some cardamom seeds, which turned out to be much harder work than I anticipated! 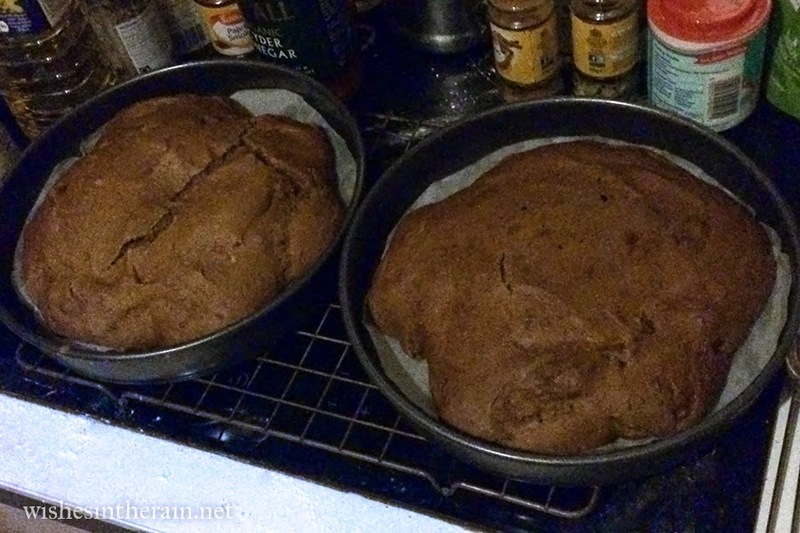 I baked the cakes in my oven 175°C (350°F) for about 30 mins, but I swapped shelves half way round so that both cakes had the chance to cook the same. I confess I was a little nonplussed about how they came out initially! The surface cooked before the mixture had a chance to spread out, so they were all lumpy. I sent this picture to my friend Myshelle who runs Mamma that Makes and she suggested cutting round a plate placed over the cake to make it more circular when they were cool. Cutting round a plate worked really well - it's the sort of thing I wish I'd thought of by myself. The cakes were still uneven but they were much better. I debated cutting the tops flat too but decided I'd rather have a bigger cake - my flute group friends would forgive me for it not looking perfect! I tried a second time to powder the coconut sugar in the foodprocessor, thinking that it might work better with less sugar. It didn't! But the blender on the other hand was a different story- it powdered perfectly in about 20 seconds, though I gave it a second 20 seconds just to be sure. 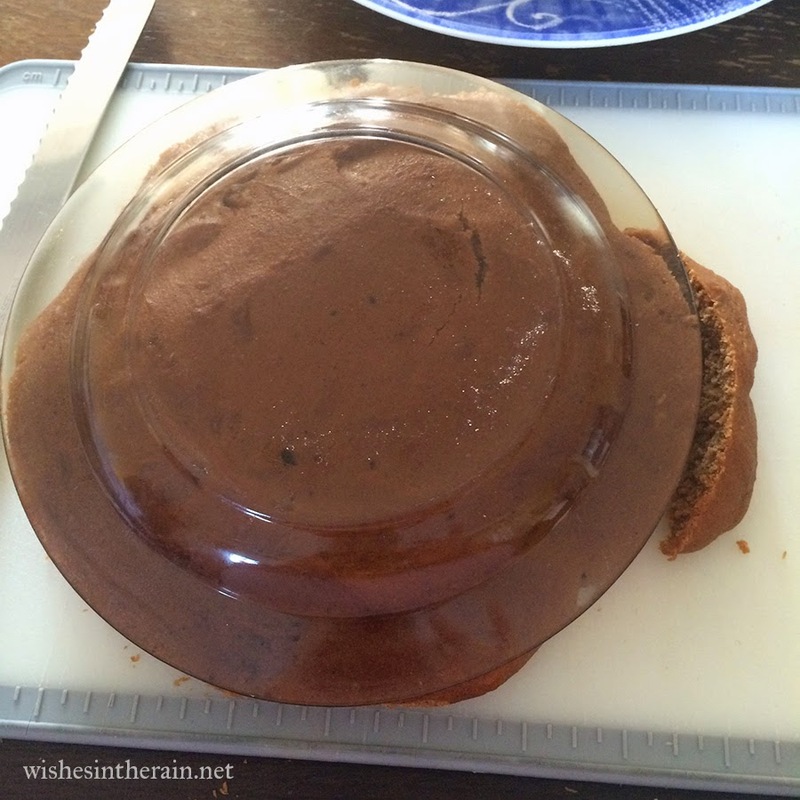 I made a water icing filling for the cake, mixing water into the powdered coconut sugar until it was a thick paste. I put a tiny bit of vanilla essence in but I don't think it was really needed - the sugar's flavour was enough. 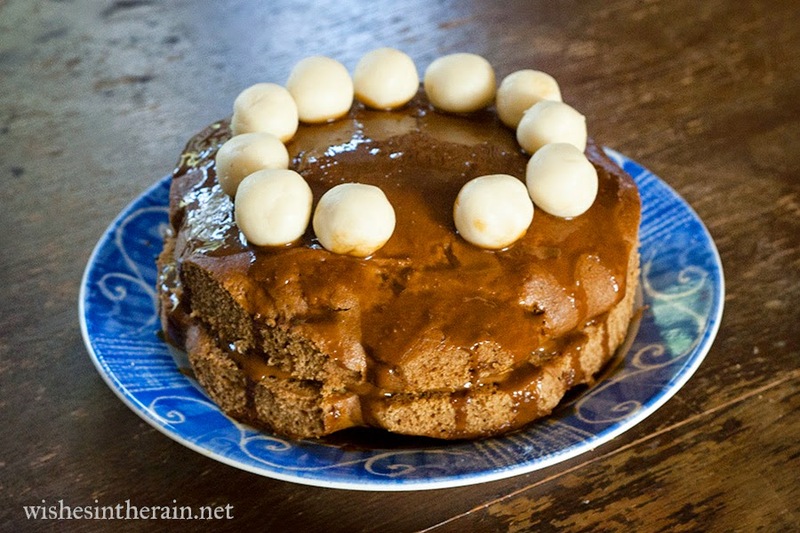 I topped it with thinner water icing, and balls of marzipan to make it a little like a Simnel cake (the marzipan had sugar in but was easy to remove from one piece). I think it looked all right in the end (though it took a little effort to get the marzipan to stay in place as you can probably tell!). But more importantly, flute group enjoyed it. It was very spicy and flavourful, and the texture was really nice too. I think that cake flour recipes may work well for being made gluten free because gf flour can be a little gritty, but some of that would be replaced by cornflour. One friend said she wouldn't have known it was vegan or gluten free if I hadn't said, and my vegan friend was really happy, because she hadn't been able to have cake in six weeks since she's been not allowed sugar. Should I make one too? I think this is a great recipe, so yes! If I make it again, I think I would use a little more tea as Emily says gluten free flour tends to absorb water more, and I would bake it for a bit longer at a lower temperature to allow the mixture time to spread out. But over all it tasted pretty good! I would definitely use coconut sugar again, too, although only in a recipe where it's flavour would complement the other ingredients. I think it would be good in apple muffins for example, and other things that would be spicy. And next time I think I'll try making coconut sugar buttercream.